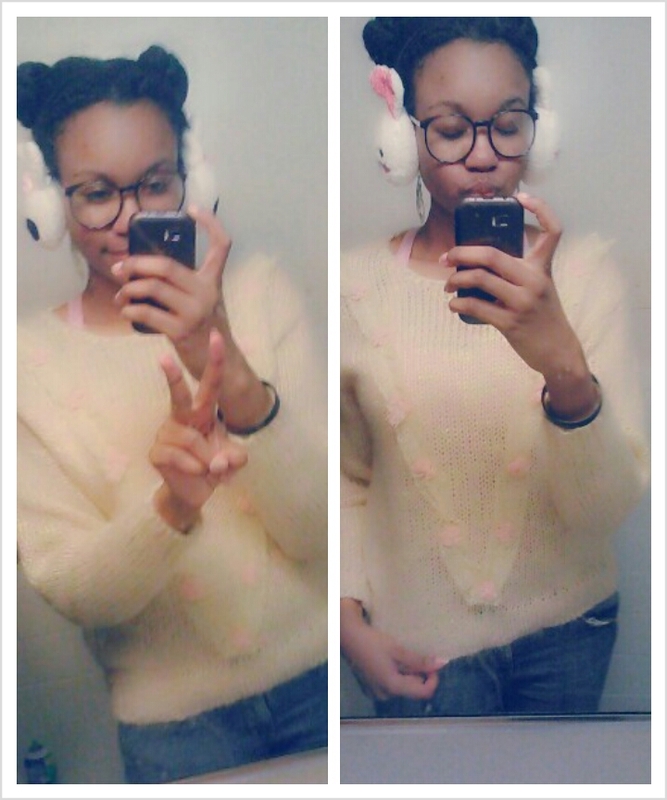 Love Dream Stargaze: Bunny Earmuffs! I just wanted to share my awesome find. My sis and stepped out for a bit. It was freezing! I'm the type of person, that if my nose, ears, neck, or hands are cold, I suffer. On the way back home we went to a beauty supply. My sister bought a flat iron and I would have left empty handed. 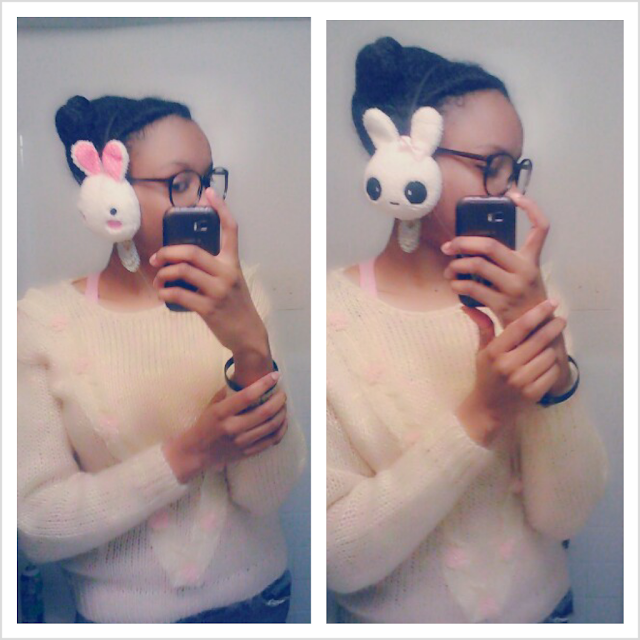 Yet, my sister pointed to a corner with cute animal gloves, hats, and earmuffs. Needless to say, I hurried my bum over there and found two bunny earmuffs! I wore one out into the cold.